Mozilla’s Erin Knight launching Webmaker badges today — with the help of a young webmaker who just earned her first badge. 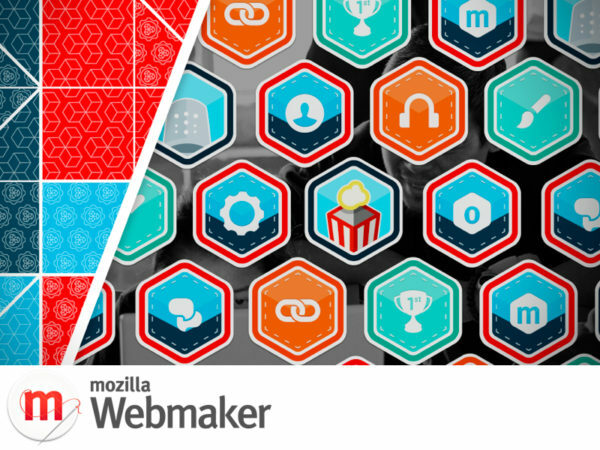 Webmaker badges are an exciting new way to teach, learn and get credentials for digital skills. They’re free, fun, and part of Mozilla’s non-profit mission to create a more web literate world. Mozilla’s new Webmaker program makes it easy for anyone to make something amazing on the web, learning skills as they go. Now with Mozilla Webmaker badges, they can earn recognition and public proof for those skills as well. As users complete projects on Webmaker.org — like creating web pages, animated GIFs, or learning the fundamentals of programming — they can earn digital badges linked to their identity. This provides a lasting record of their skills and achievements, and shows off their new skills to teachers, classmates, peers or future colleges and employers, backed by Mozilla. “Digital literacy is to the 21st century what reading, writing and math were to the 20th century — vital to creativity, empowerment and economic opportunity,” says Erin Knight, Senior Director of Learning at Mozilla. 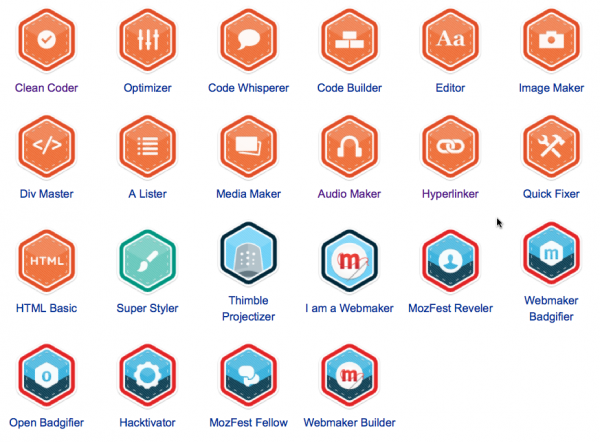 This first set of Webmaker badges focuses on introductory skills like HTML and CSS. More advanced badges will follow. Webmaker badges are powered by OpenBadges, Mozilla’s free, open source software that makes it easy for anyone to issue and manage badges across the web. Check out the first set of Mozilla Webmaker badges. More badges will follow soon. Get started earning your first badge. Pick a project and sign in to start. Learn more about Mozilla Webmaker. 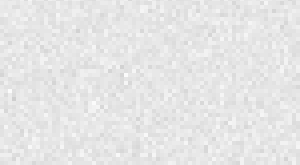 And our mission to create a more web literate world. 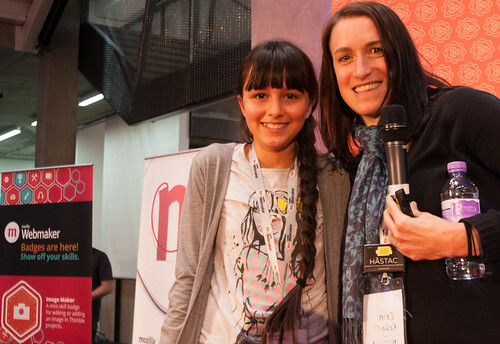 Meet Alayna, a young webmaker who earned her first Webmaker badges today at the Mozilla Festival.